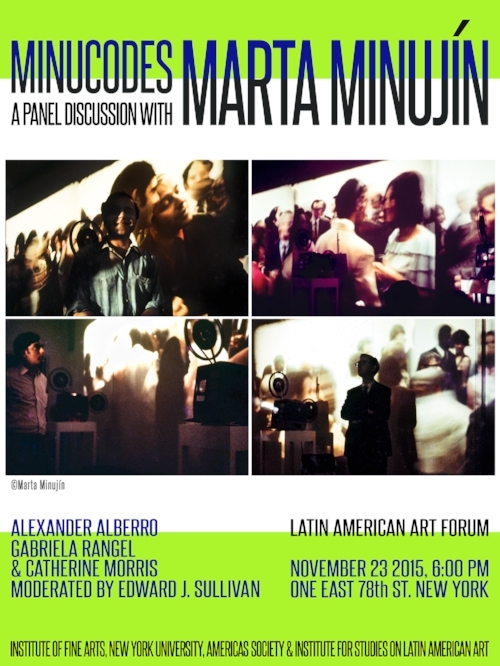 A panel discussion on the Argentine conceptualist/performance artist and cultural icon Marta Minujín and her new book MINUCODEs. Featuring Marta Minujín in conversation with Alexander Alberro, Barnard Columbia/Columbia University, and Catherine Morris, Sackler Family Curator, Brooklyn Museum. The conversation will be moderated by Gabriela Rangel, Americas Society, following introductions by Edward J. Sullivan.